Below are 2 of several portraits of German Saxon Princesses wearing gowns with the bodice front embroidered with pearls. There are a number of variations on these gowns. 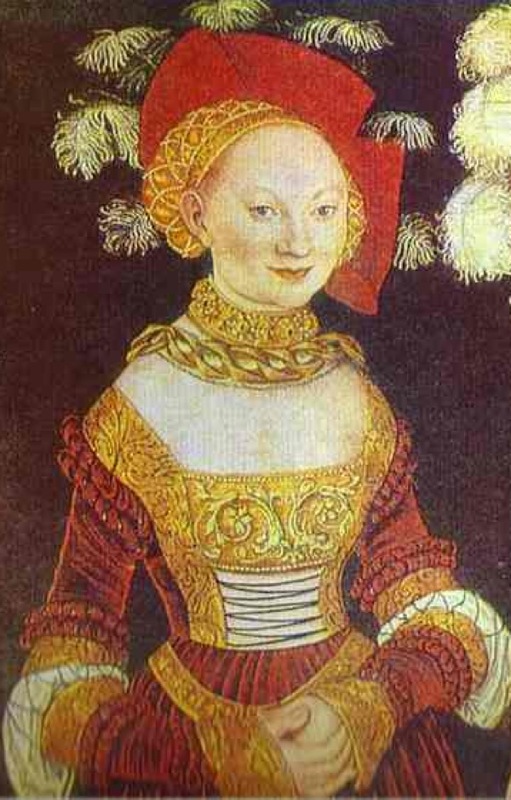 In fact the 2 Saxon Princess by Cranach of which Emilia is one, shows 3 variations - minimal embroidery, the bodice front only in a floral pattern, and a geometric bodice front with side panels and sleeves embroidered in a floral pattern. The embroidery, if it is floral, appears to follow the flow of the pattern of the underlying brocade and picks out parts of it for embellishment. The slate frame was laced with muslin and then the silk brocade for the center panel was applied. I followed the flow of the brocade to set out many of the tendrils. I used a central floral piece as the base for the full rose. Each pearl, if in a line, was couched down between each pearl with silk thread. Rows of couched pearls were strung on a silk thread. 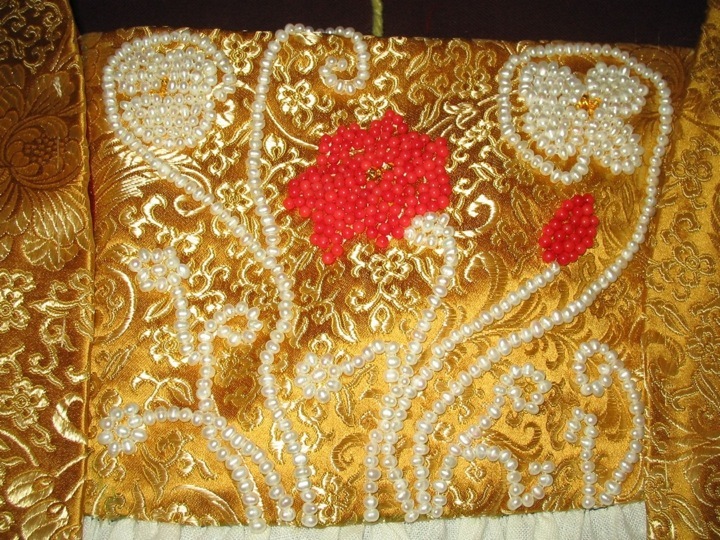 Otherwise, the beads and pearls were applied individually; being sewn down with silk thread. The pearls and beads are approximately 2.5 mm in size. 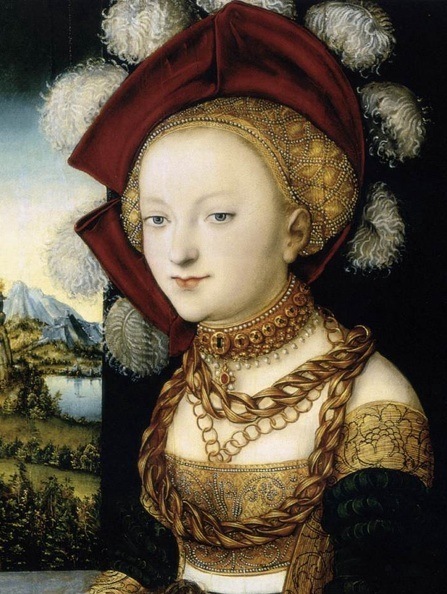 As you can see in the paintings, the pearls used in the bodice decoration and caul decoration were not seed pearls, but larger in size. 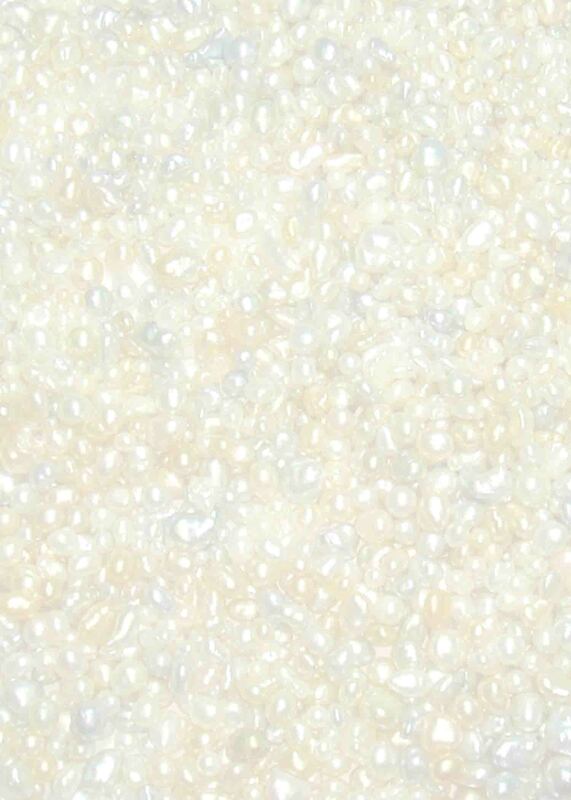 There are paintings where it looks like seed pearls were used, but not in the majority of the paintings I was able to locate. Most of these painting were of women of wealth and stature, hence the show of wealth with jewels, pearls, and gold chains. Since this was to be my stepping down gown from being Kingdom Artisan, nicknamed "Poppy", I opted to carry the design of the poppy and my rose into the motif. I used pearls for the poppies. The rose is my personal symbol and I opted to use coral beads to represent the red of the rose and rose bud. While I found no women's bodices with mixed beads, there is some indication that there were men's front pieces that have mixed mediums. Coral and pearls were used together and are documentable (see gollar project). Close up of the front panel from my dress. For a picture of me in the dress - click here.